Transcript is tweaked and optimized, I am waiting for an update regarding the pictures. I posted 4 images for several choices. 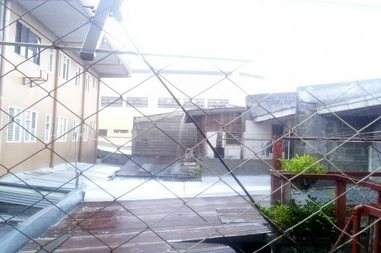 It was taken during the height of the onslaught of the storm (Glenda) going out of the Philippine Area of Responsibility (PAR) last August 1, 2014. Ideal-Helper lacks choices that corresponds to each question. I was shut off earlier (10am until 2pm) due to our local rotational brownout that lasts for 4 hours. Again, I am disappointed because they were not able to give an advisory. And my computer often lags that lasts for 5 minutes. It’s the internet provider’s end creating this problem. It happens whenever there’s a storm in Philippines’ Area of Responsibility. Earlier this afternoon, I called the service provider and they do admit that their underwater cable and fiber optic is unstable due to the bad weather. I will catch up my lost time this week. I will do my best regardless of the inevitable circumstances and will never use my weekend to catch up. I am actually disappointed for these past few days series of events.